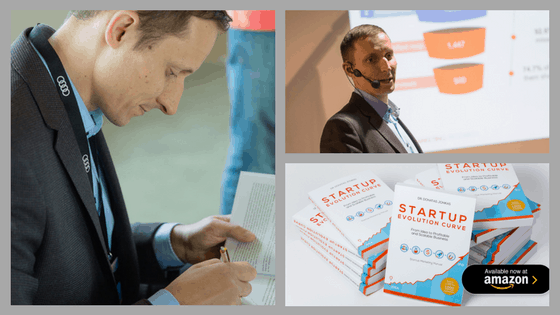 Recently Jennifer interviewed Dr. Donatas Jonikas, Lithuanian author of Startup Evolution Curve, about his new book that scored many natural 5-star reviews on Amazon. You'll find many 'secrets to book success' within. Q. I noticed you give away 100 pages of the book, plus 20 templates based on the book. Did this move seem to lead to more book sales and interest? I did this at the very beginning, so I don’t have firm data about sales before sharing the excerpt and the set of templates. I can’t prove whether it was worth it or not, but generally, yes – it helped, but that was not the single factor. I would even say this was important, but not a vital success factor. A set of 20 templates was initially planned as an added value for book readers. To tell the truth, it’s also a lead magnet – Amazon doesn’t share reader’s emails, so I don’t know who bought and read my book. So, once I want to release a new book or engage my readers for any other purpose (i.e. to do research, to post a review on Amazon, etc.) I have no chance to reach them directly because I don’t have their contact details. But I’ve put those 20 templates as added value and also informed about it at the beginning of the book, in chapters and at the end of the book; I even share the info about these templates in the Amazon book page description. 2. I get their email addresses and the possibility to get in touch with them in the future. Regarding the excerpt of 100 pages, I did this mainly to build trust – take my book and check it out. If you find something that is valuable in your unique case, maybe you’d like to get the remaining 230 pages just for a few bucks?… I’ve put a shortened URL link at the end of the excerpt so I can track how many times the link was clicked. Numbers are not very big yet, but there some people clicking that link and going to the Amazon book page. Q. What was your overall goal of writing Startup Evolution Curve? Well, I had many purposes for writing Startup Evolution Curve. Establishing myself as a startup marketing expert in the international arena was the most important one. So, you can imagine how happy I was once I started receiving highly positive feedback from industry experts, whom I invited to be my beta readers before publishing the book. The book was not yet released, but I understood that my initial goal was already met – the book is really good, and that was confirmed by more than 30 international experts, including David Goldsmith, serial entrepreneur, investor, inventor and the author of New York Times bestseller ‘Paid to THINK’. Lead generation was the second goal by importance. I’m building a comprehensive, online video course for early-stage startups to become fundable and even financially self-sustainable. As I’ve already mentioned, the book has a built-in lead magnet; the more copies that are sold (or even if shared for free), the more leads it generates. The person who was interested in those specific templates might be motivated to take action and work on building his/her startup, and that’s an ideal client for online courses and maybe even individual mentoring. Generating some passive income was among the goals as well, but it was not a priority. ‘Startup marketing’ is quite a small niche on Amazon, compared to searches on Google. Far more people search for startup marketing on Google compared to Amazon. But I found out that only when the book was published 🙂 Anyway, it generates some income and I already have a few ideas for at least a couple of new books on startup marketing related issues. (Editor: Great tips there, also note that Amazon keyword research can be done before writing the book). Q. 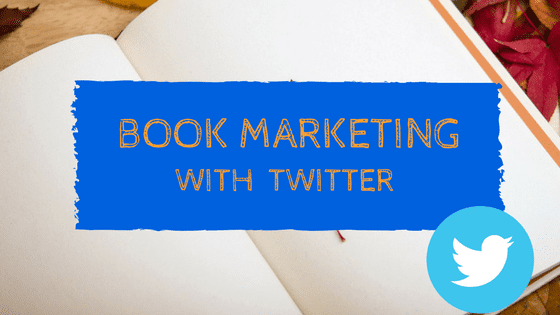 What platforms did you personally market your book on (e.g. own email, LinkedIn, Facebook page)? ‘Startup Evolution Curve’ is my first self-published book. I wanted to keep the launch and sales as simple as possible because I had to do everything alone (that’s what it means “self-published”) and do it for the very first time (you never know what errors you might encounter). Therefore I decided to make the ebook exclusively available only on Amazon (I enrolled to Amazon KDP Select) and their expanded distribution network. It means I don’t sell my digital book anywhere else except Amazon. 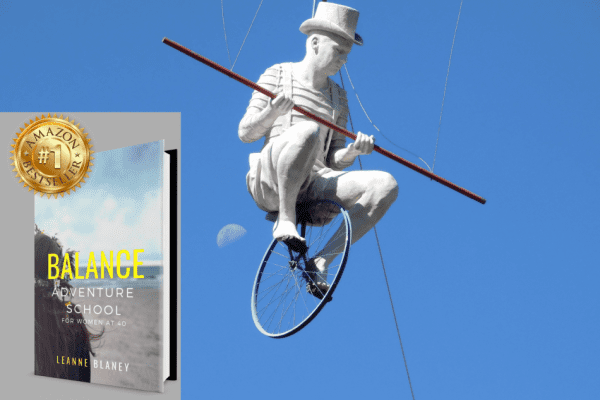 I didn’t have to spread myself too thin on different platforms and Amazon provided a few additional opportunities that were quite useful (Amazon KDP countdown deal promo, Kindle lending library). As far as I can clearly see now, consistent list building was the main success factor during the book launch. I did global research by surveying more than 1,500 startup founders and running nearly 500 in-depth interviews. Each time I shared a link to survey, as a thank you, I promised these people that I’d share the book at the lowest possible price (assuming it will be around $2) once it was ready. Once my research was done, I already had more than 1,000 people on the list waiting for the book to be published. They didn’t pay anything (i.e. pre-order), they just said they would like to be informed once the book is out and the lowest possible price is set. As you probably know, Amazon ranks each book based on the number of units sold. The funny thing is that my book became #5 best-seller in its category when it was not yet released! 🙂 I just opened a pre-order possibility on Amazon and invited those subscribers to secure their copy. That’s it – that’s how I got initial traction. Building readership in advance is an essential step – that’s the lesson I’ve learned launching ‘Startup Evolution Curve’. LinkedIn was another channel that helped me a lot. When I started my research I had less than 600 connections on LinkedIn, but now I have more than 15,000 connections and followers. Initially, I was targeting startup founders and communities, and seeking them personally. Later, I started receiving connection requests because someone had shared the link to the survey where they found out about my research and the book. I started participating in startup groups on LinkedIn (some of those groups have 200,000 members or even more) and found them very helpful. Once the book was ready for pre-order, guess what I did?… Yes, I shared the news with my LinkedIn connections. Q. Any other tips about Amazon marketing in particular? Once the book was out and it was eligible for Amazon Kindle Countdown deal promo, I used this opportunity to boost the number of books sold. The more units you sell, the higher the ranking you get, and the better positions you win among Amazon search results. But the countdown deal is not a big deal by itself. Yes, the reader can get a $9.99 priced book for $1.99 or less, but I thought that this might not be a sufficiently strong reason for people to share this news. In order to boost viral shares, I initiated a contest: “Share the news about the book and win 3 months mentoring with the author”. Each time someone signs up through a shared link, the person gets 1 point. The more points you get, the higher you make your position in the list. The Top 3 in the list at the end of the contest (an exact date was set) win 3 months of personal mentoring with me (prize value $1,495). Well, that was the reason people started sharing the news about the book. Someone even made 32 referrals — this means one person invited his friends and at least 32 additional people found out about my book without my direct input or paid advertising. The one thing I would have done differently is: I would have spent some budget on promoting the contest on Facebook and maybe even on LinkedIn (but that’s quite expensive). 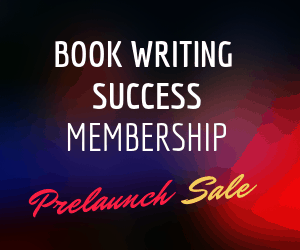 Jennifer: Well, thanks a lot for your time Donatas… and your secrets to book launch success! 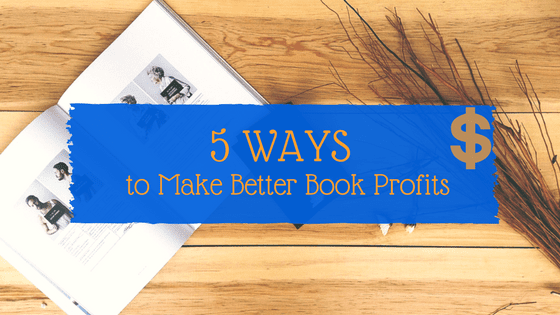 I learned a lot and I’m sure my readers will too. (The key takeaways are highlighted in bold). Donatas Jonikas Ph.D. is Startup Marketing Supervisor and Expert at KTU Startup Space (startup incubator based in Kaunas Universty of Technology, Lithuania). His book, Startup Evolution Curve is on Amazon and you can get access to a large preview and 20 helpful startup worksheets at his Startup Evolution Curve website.